The New 2019 Head Graphene 360 Instinct range is the the perfect rackets for effortless power. The new 360 technology helps to amplify your energy. The 360 Graphene forms the structural base of the racket as it is positioned in the shaft and extends into the racket head, providing greater stability and optimised energy transfer from racket to ball to maximise the power of your game. The MP is suited to those advanced players with the weight being 300g. 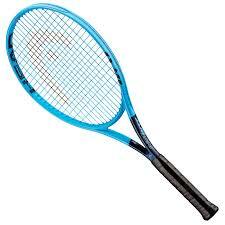 The racket comes strung in the new head string Lynx. Free delivery available on Head Graphene 360 Instinct MP 2019! Order now! Do you own the Head Graphene 360 Instinct MP 2019?